"Long years ago we made a tryst with destiny, and now the time comes when we shall redeem our pledge, not wholly or in full measure, but very substantially. At the stroke of the midnight hour, when the world sleeps, India will awake to life and freedom. A moment comes, which comes but rarely in history, when we step out from the old to the new, when an age ends, and when the soul of a nation, long suppressed, finds utterance. It is fitting that at this solemn moment, we take the pledge of dedication to the service of India and her people and to the still larger cause of humanity"
From a "Tryst with Destiny"
Pundit Jawaharlal Nehru was the first Prime Minister of independent India and was elected successively for a total of 18 years, until his death in 1964. He was also one of the top leaders of Indian independence movement and elected President of the Indian National Congress on four separate occasions. His stature and influence in Indian politics and on the Indian people were second only to those of Gandhi, the Father of the nation. During the post independence period, Nehru's status increased as he joined with Yugoslavia's Marshall Tito and Egypt's Gamal Abdel Nasser to form the Non-aligned nations. However, Nehru's true contribution to India is only now being felt . His wisdom in promoting industrialization, his implementation of free Public education and the stress placed on science and technology, including atomic and space technology is catapulting India into the forefront of technologically advanced nations, especially in the sphere of Information Technology (IT). He also had a large part in crafting the Indian Constitution and guiding India in becoming pluralistic, secular, vibrant democracy. This, the largest democracy in the world, is , thus true testimony to Nehru's vision. And, we, successive generations of India are truly indebted to him! Nehru's family can be considered a dynasty, much like the Kennedys of America. Motilal Nehru, Jawaharlal's father was himself a prominent personality among India's freedom fighters. Nehru's daughter, Indira Gandhi and his grandson Rajeev Gandhi were Prime Ministers of India. Even now, the name of Nehru and Gandhi are so potent that even Rajeev Gandhi's widow (a foreign national) is the Congress Party's President and perhaps the most influential politician in India today. Also, her children are entering politics and also attracting considerable attention. I have no doubt they will also influential politicians in their own right. Like most aristocratic Indians, Nehru was sent to England for education. He entered the English Bar after being educated in Oxford. His intimate knowledge of the English legal system, his appreciation of the socialistic ideology of the Soviet Union and his unique vision for India, all played significant roles in shaping the Indian Constitution and the direction India's democracy took ever since.
" A moment comes, which comes but rarely in history, when we step out from the old to the new; when an age ends; and when the soul of a nation long suppressed finds utterance"
"Great causes and little men go ill together"
"Action to be effective, must be directed to clearly conceived ends"
"Peace is not a relationship of nations. It is a condition of mind brought about by a serenity of soul. Lasting peace can come only to peaceful people"
"Ignorance is always afraid of change"
"Facts are facts and will not disappear on account of your likes"
"The art of a people is a true mirror to their minds"
In summary, Nehru will be remembered as the most important personality, next to Gandhi, in Indian politics in the 20th century. 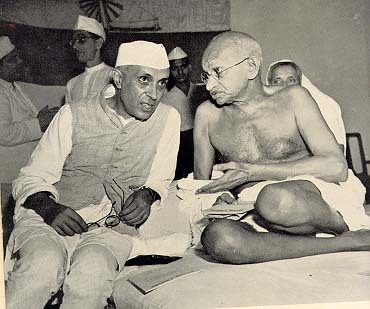 While Gandhi's contribution is in winning freedom for India, Nehru had an almost as important a role in that but mostly his role came after independence. 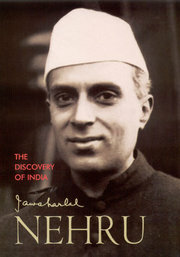 In the early difficult years post-independence, Nehru's personality was essential for keeping the country together. His role in promoting education, science and technology and self-reliance will propel India into the fore front of nations. And this is Nehru's true legacy.